The web is full of predictions and trends with the onset of the New Year. As we’ve just stepped into 2014, there have been different kinds of anticipations and trends to watch out for, in different fields. What we need to see is how many of them turn out to be true as the New Year passes by. With the video industry, there are no exceptions. 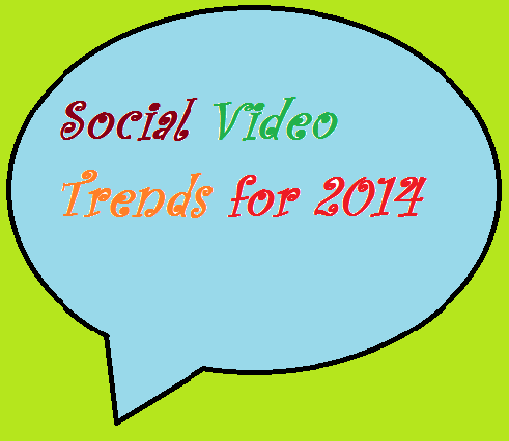 A number of foretellers are sharing their views on the video trends that one must watch out for in 2014. If you too are eager to know about them so that you can make use of the trends in order to get better results, here are some that you may watch out for. 1. Upcoming new tools to help real-time marketers: In the year 2014, we can easily see the emergence of some new platforms and tools that will help us support the macro-trends towards real time marketing and content marketing with more and more brands becoming the centre of their niche. Such tools will lead to greater investment in content curation, content discovery and content creation as brands will fight against each other to share the social platforms for capturing the minds of the consumers. 2. The brands will don better tech marketing opportunity: The next generation of advertising industry will see brands using complex and more varied data sets that can help you improve timing and targeting. For instance, the advertisers will advertise woollen hats in those cities where temperatures haven actually fallen overnight in those areas where it’s forecast to rain. 3. Mobile is certainly going to become a first screen: Did you know that engagement rates on mobile devices have exploded in 2013? According to Unruly’s campaigns, the CTR or click-through-rates on tablets and smartphones have more than tripled since a couple of years ago. This has been a trend that is said to continue into 2014 and mobile video is predicted to increase 25-fold between 2011 and 2016, thereby accounting for 70% of the mobile data traffic. 4. Big data will cut down to a smaller size: Can you ever imagine that 2.5 quintillion bytes of data are usually created by sales and marketing firms every 24 hours? In spite of the over-abundance of data, nearly half of 68% who promised to increase their data-related expenses saw that this was becoming their toughest challenge. In 2014, everyone is expecting to see a cut down of Big Data that will be broken down to smaller and more-manageable pieces. 5. Facebook might shake the video eco-system: It was during the end of 2013 that Facebook introduced the video advertising stream. This means that brands can now place auto-play ads directly into the news feeds rather than just embeddable videos. This going to be a game-changing move by Facebook and there are predictions that Facebook video ads, could be worth a $1 billion market to the social media industry by the end of 2014. Hence, when you’re about to enter into the video marketing industry, take into account the above mentioned points to take better firm decisions.